Have you heard of Bewell wooden watches? After years of wearing watches made from metals, leather, and synthetic materials, I recently became familiar with wooden watches, and I’ve been on the bandwagon ever since. I love them. In particular, I love Bewell Wooden Watches. There’s a lot to love about them, but three major things stand out about these watches: the construction, the style, and the price. I am always looking to be more “green” with regard to my purchases. I try to avoid plastics and a lot of synthetics in so many of my household items, so I’m pretty excited that I can extend that philosophy to my most used accessory. Wood is completely all natural and renewable. Unless you plan to just look at the sun to try to figure out the time, it doesn’t really get any more green than that. Aside from the environmental aspect, there are a number of benefits to wearing a watch made from wood. If you’ve ever worn a leather, plastic or rubber wristband, you know how sweaty you can get under there. In addition to being uncomfortable, they can also trap bacteria and get a little stinky (kind of like shoes!). Also, many people have metal sensitivities, and a since Bewell Watches are 100% hypoallergenic and non-toxic, you can wear them with confidence that you’re not going to develope a metal-allergy rash. Finally, Bewell Watches are very lightweight and comfortable to wear. I had assumed that a wooden watch would be heavy, but they actually weigh less than metal watches. The “green” factor is a big one for me, but truthfully, if I didn’t actually like the look of the watches, it wouldn’t matter. I wear very little jewelry, but my watch is my signature piece. Bewell Watches are beautiful. They are sleek and elegant. I have to say, every one is like a work of art. They are so stylish, with a huge selection of sizes, finishes and designs. Each Bewell Watch is handcrafted and unique, since wood grain and color varies from tree to tree. Wearing one of these watches is like adding an exquisite and exceptional piece of jewelry to any outfit. You are guaranteed to get comments and compliments on your watch! 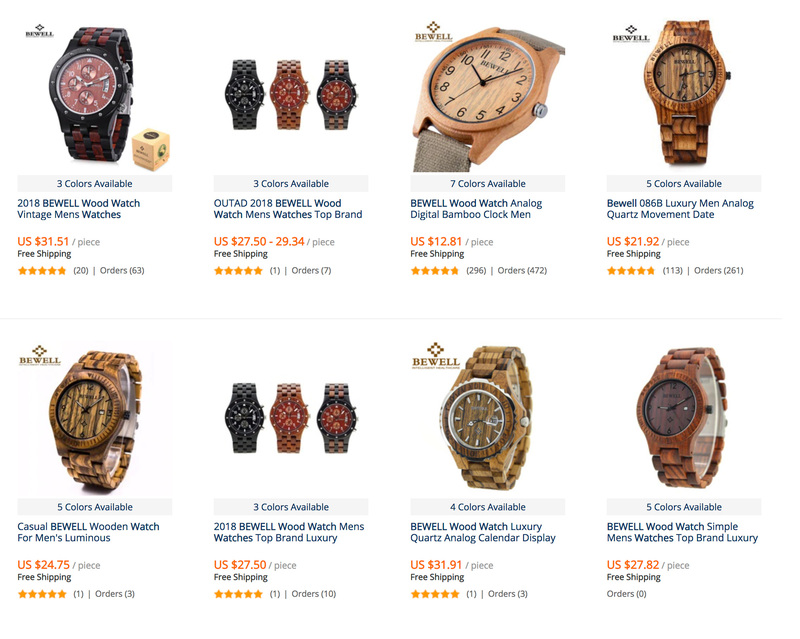 Once I was introduced to wooden watches, I started looking around the Internet and pricing them, and I am so impressed with the price point at which Bewell Watches are sold. 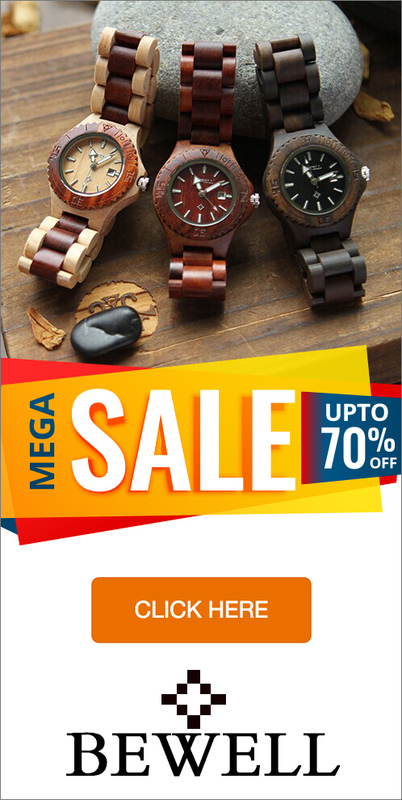 They are significantly less expensive than other brands of wooden watches. They are really priced so that you can afford to own a few. This is great news for those of us who have a hard time narrowing down and picking a favorite. If you’re looking for a well constructed, environmentally sound, stunning timepiece at an affordable price, you should definitely look at Bewell Wooden Watches. Tired of getting a recycled look on your look-book? Are you getting confused on what to buy next to match your own style? An addition to the “green revolution” has been recently released and is now making waves in the fashion and style guides of today. Bewell wooden watches. If you are style-conscious and at the same time an eco-lover, or maybe one of both, WeWood wooden watches are for you and will surely make its mark on your daily wear. Here are five of the best reasons why you should get a wooden watch. So do you still remember when it was that you last saw a wooden watch from Bewell? I bet you haven’t seen one right? And I’m pretty sure that right now, all watches look the same to you. Traditional watches, diver’s watches, and the likes, they all look the same today with just a few adjustments on the designs to look cool and hip. Nothing catches people’s attention faster than someone who has good style. Bewell wooden watches will surely turn other people’s heads and make them wonder if your watch is the real deal. And besides, how often do you see a wooden watch nowadays? If you do get one today, prepare to be asked about your wooden watch, at least ten times a day. Wooden watches are very light, almost half the weight of a typical diver’s watch. Breathing is good. These Bewell watches feel like air is passing through them and keeps your wrist feeling fresh and free from the weight of a metal watch. Durability is one feature of WeWood wooden watches. It may look like the parts may easily break due to it being lightweight, but truth is, changing out the links are a breeze, and they fit like a glove. Those who have skin allergies often inspect their watches first as their skin reacts easily to chemicals and other metal used in traditional watches. These wooden watches though are of a different kind. Since these are made of all natural wood, even the backs of these Bewell watches and every part that touches your skin, surely doesn’t get any reaction at all in those sensitive areas. Bewell watches are not your ordinary time pieces; they are an extension of your overall personality. Aside from being a mere fashion statement, these wooden watches are works of art, boasting of pure craftsmanship from their makers. Even the inside mechanism are made from state of the art quartz mechanisms to ensure accuracy of the time. Natural artistry and functionality all rolled into one. This is how a Bewell watch should be. The best reason for you to buy a wooden watch for yourself or for a loved one would be its price. For under a hundred dollars, you can get the style, the comfort, and the functionality you need in a watch without having to hit your wallet rock-bottom. Compared to thousands of dollars worth of diamond and gold timepieces, Bewell watches come in refreshingly affordable. 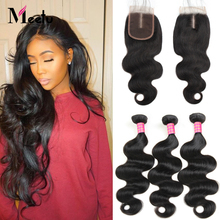 It has different styles and colors so if you feel like changing styles almost every day, you have the option to do so. Wooden watches are not only functional they are beautiful as well. These watches are interesting and unique, perfect for the man or woman that wants an eco-friendly, fashion-statement piece. 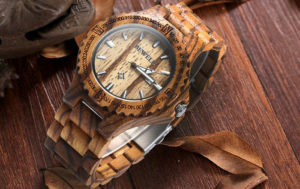 However, when you decide to invest in a wood watch you should be aware that the very qualities that make it unique and desirable also make the watch more sensitive than an everyday metal or plastic timepiece. Review the following tips and tricks to keep your new wood watch looking great and keeping perfect time. Fortunately, you won’t need any special storage solutions or expensive equipment to care for your watch. Just keep in mind the materials used to create your watch are inherently more sensitive than other more common watch-making materials like scratch resistant metals or water resistant plastics. A few precautions and a good dose of common sense is all you will need to do. The first thing you should do to keep your Bewell watch in great shape is wear it. That’s right, wear it. The natural oils from your skin will keep the watch moisturized and give it a nice sheen. If you have purchased your wood watch to wear on special occasions you will need to buff the watch on a regular basis. Using an essential oil such as lemon oil will keep the wood’s natural moisture locked in and provide a nice shine as well. A little goes a long way though. Put a couple of drops of the lemon oil on a soft cloth and gently buff the wood on both sides, then wipe it thoroughly with a clean, dry cloth. If you overdo it the wood can soak up too much oil and look dull and worse it could get your clothes greasy and reek of lemons. Check the watch every couple of weeks to make sure it looks shiny and rich, if it is beginning to look dull give it a good buff with a drop of lemon oil. Sunlight can cause splits or cracks in the wood. Don’t leave it on a windowsill where it will be exposed to ultraviolet rays every day. Your watch should not be left anywhere that it will get too hot, like on top of a radiator cover, high temps can cause wood to warp. To prevent the growth of mold or mildew make sure you don’t get food particles on your watch or keep it in a tightly closed box where mold or mildew could grow, it needs air circulation. While most wooden watches are water-resistant you must be sure that your Bewell watch is not submerged in water. Likewise, you shouldn’t wear the watch in the shower, sauna or steam room. Also, bear in mind that salt water can not only dry the wood but will cause the mechanical components of the watch to cease working. It is best to choose your wooden watch as an accessory for those times you know you will not be doing any water related activities. Take these suggestions to heart and your Bewell wooden watch will be a treasured piece of your wardrobe for decades.